The planner phenomenon has taken the world by storm! As a diehard art journaler, planner, notebook hoarder, (I mean collector) and pen and paper person, I wanted to design “artful planner” stencils that are functional and unique in the creative planning process. Whether you are an art or bullet journaler, planner aficionado or paper artist, the elements will add a whimsical touch to your handwritten organizational system. 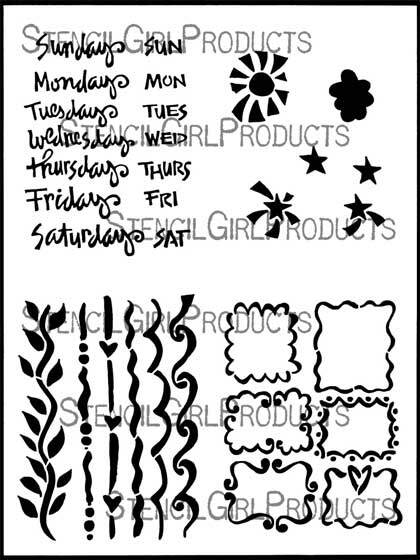 In my sets for Stencil Girl, I have included exclusive alphabets, numbers, page headers and some fun little icons. They are designed to be used with pens, pencils, and paint as a foundation for creativity and personal customization. #2: CUT IT UP! 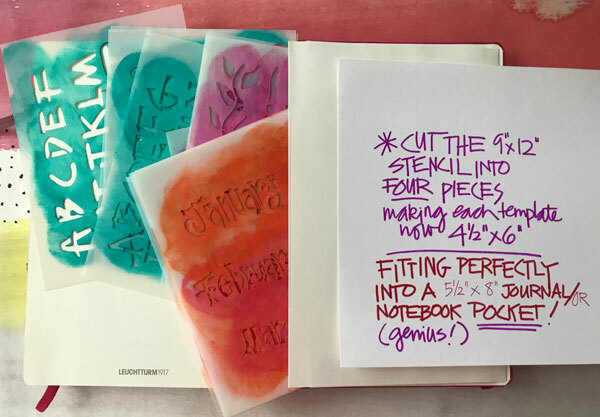 Cut the sheets into FOUR pieces for ease of use and simple storage in a journal or notebook pocket. Because the lettering tends to be on the smaller size it’s important to have pens and markers that make the process flawless. 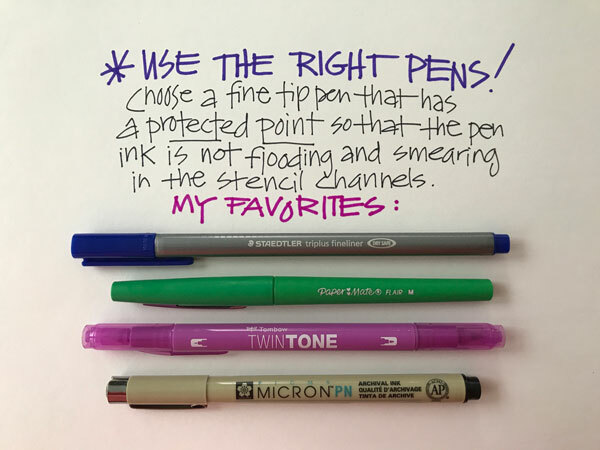 I have tried and tested the many pens in my personal stash and have found that the best pens and markers to use are fine tip, with a protective plastic or metal tip. These include Staedtler Triplus Fineliner, Flair by Papermate, Tombow TwinTone and Micron PN. 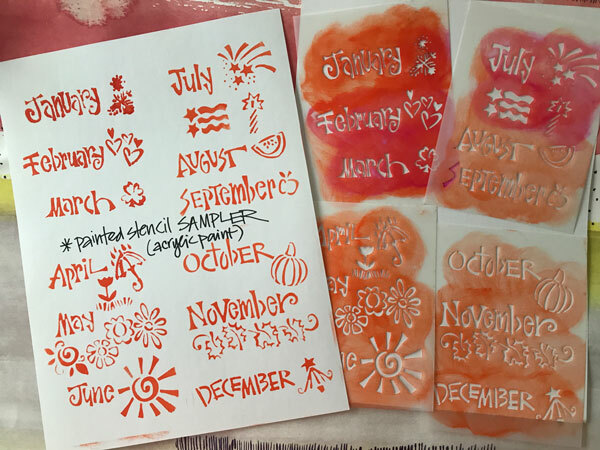 These work best because the pen ink is not rubbing off in the stencil channel. The pens by these brands come in dozens of colors. This stencil collection is made with thicker, 10ml mylar making it comfortable to trace smaller elements. 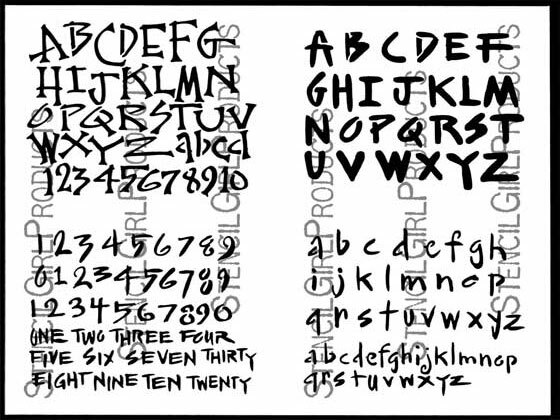 Some of the finer details of the letters and numbers are a little delicate and will shift if drawing too quickly. Trace the stencil with pens or pencil SLOWLY to capture all the details. 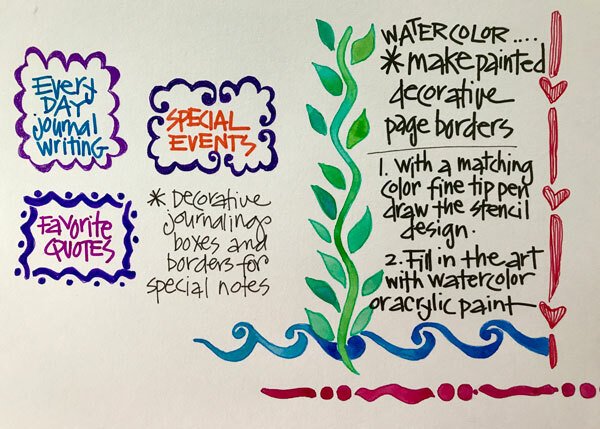 Color the inside of the outlines with colorful markers or even watercolor paints. It’s very cathartic and meditative. 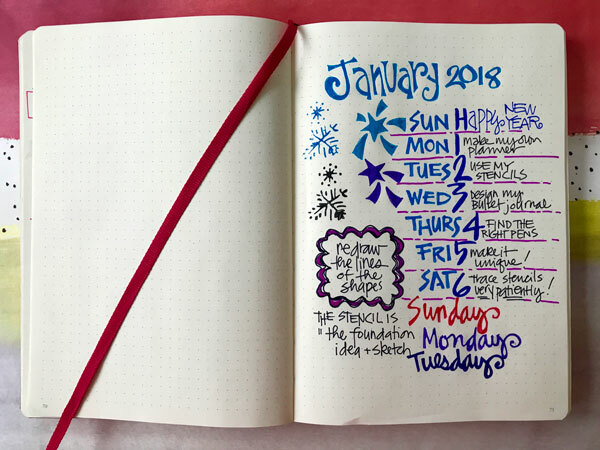 Trace the monthly headlines, days of the week, numbers and imagery to customize your own planner system in a blank sketchbook or journal. Mix, match and play with the fonts and lettering in this stencil collection to make a pleasing and interesting look for phrases, words, and messages. It’s perfectly fine to add your own hand to the elements, redraw the shapes and letterforms, changing the look and sizing. 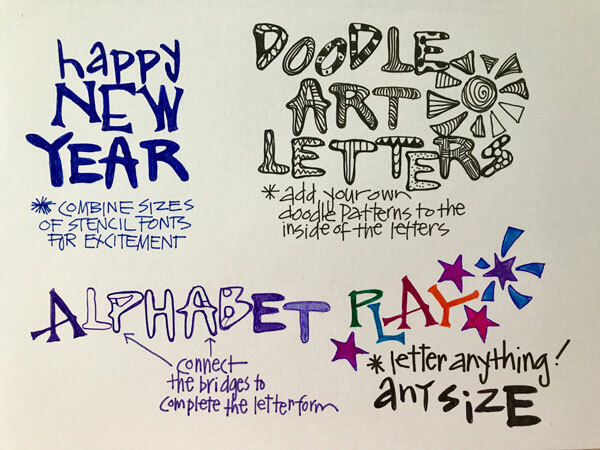 There are endless possibilities with the assorted stencil letters. Try both! 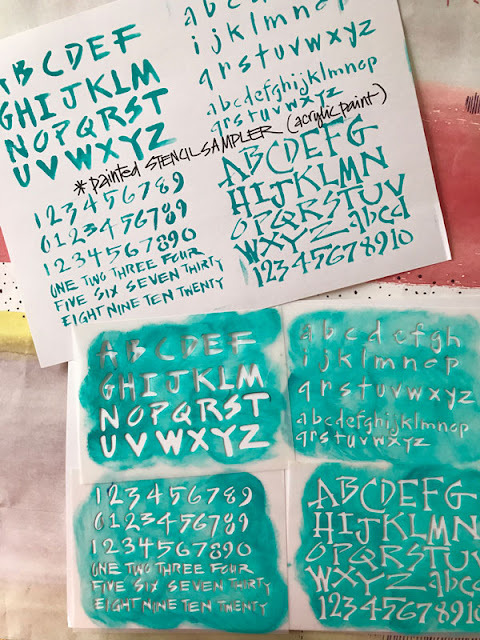 The designs are intended to be traced with pens, markers, and pencil, but work perfectly, gently stomping with your favorite acrylic paint or inking techniques. Watercolors work too! Put your own spin on the look of the lettering, by tracing the letters and filling the inside with fancy doodle designs and patterns. 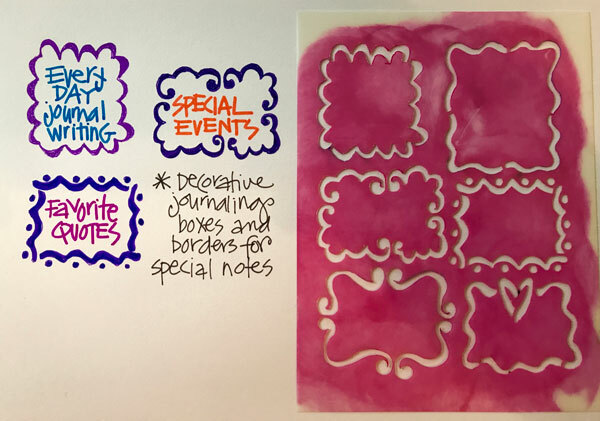 Use the boxes and borders in this collection to embellish pages with decorative journaling spaces and repetitive line art included in the stencils. The possibilities are endless! 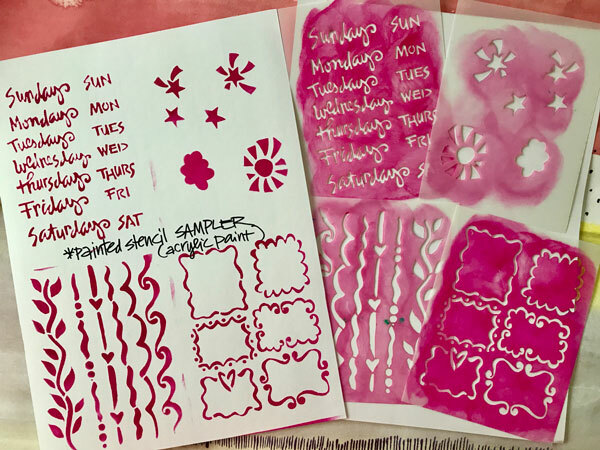 Share your stencil planner art. 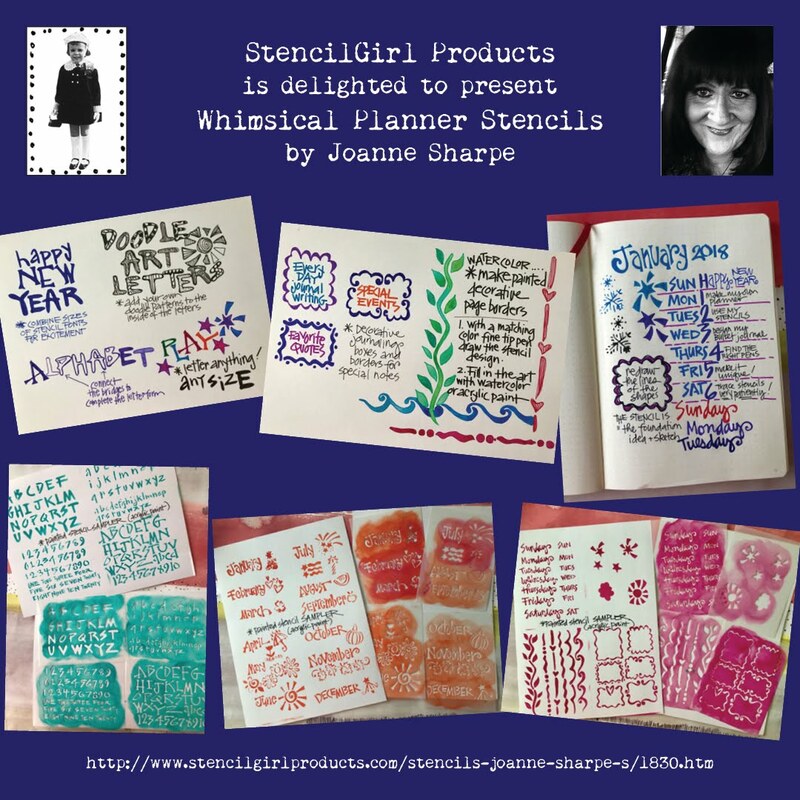 I have set up an Instagram hashtag: #artfulstencilplanner so that you can share your very own unique planner systems and designs. You can also tag #stencilgirl. We can’t wait to see what you create! 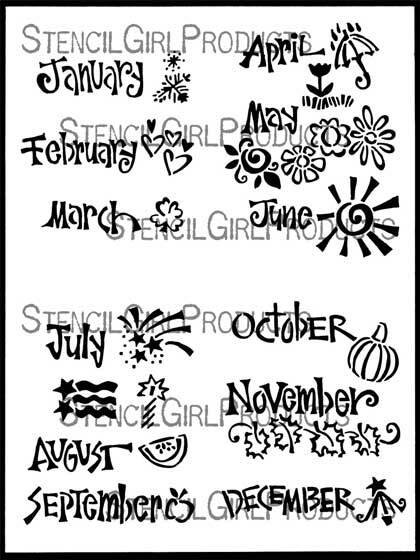 I love these stencils ! !